Good morning, first of all apologize for my English. This translation is made with google translation. I have a problem with the X template. On screens with resolutions higher than 1200 px, the menu looks perfect, but when it is smaller the menu looks in two rows so the pages do not look good. Thanks for writing in! I have checked your site URL, but I it seems that you have enabled under construction mode. First try decreasing your logo width by head over to X -> Theme Options -> Header -> Logo - Image area. If you have more menu items, you can set menu layout as stacked by head over to X -> Theme Options -> Header -> Logo and Navigation area. If you're still having issues, please provide us a way to access your site. You can provide us with your WordPress login credentials in a secure note or you can disable your under construction mode. Hello, I have done what you told me but the same thing is still happening. The logical thing would be that automatically the logo and font size will decrease if the resolution of the screen decreases. I have already removed the construction mode. The issue is because the Logo and Navigation simply could not fit in a certain range of screen sizes. Decreasing the logo and font size in the said range of screen sizes would require custom media queries. Regretfully, that would be outside the scope of our support because the theme does not offer that option. You can further reduce the Logo size and also reduce the Navbar Top Link Spacing and maybe reduce the Font Size a bit. Darshana suggested also that you try the Stacked Header Layout. That is the correct layout if the logo and navigation won't fit. 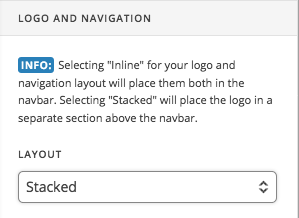 If you wish to stay with Inline layout though, you will need to follow the suggestion I've just mentioned. I see you're using Pro though so I'd recommend that you try out to build a custom header. You'll have more options. 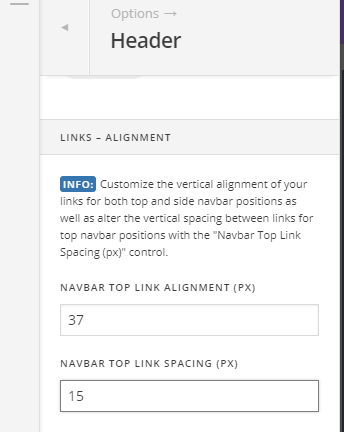 Please check out the Header and Footer Builder Introduction and the rest of the tutorials in our Knowledge Base.